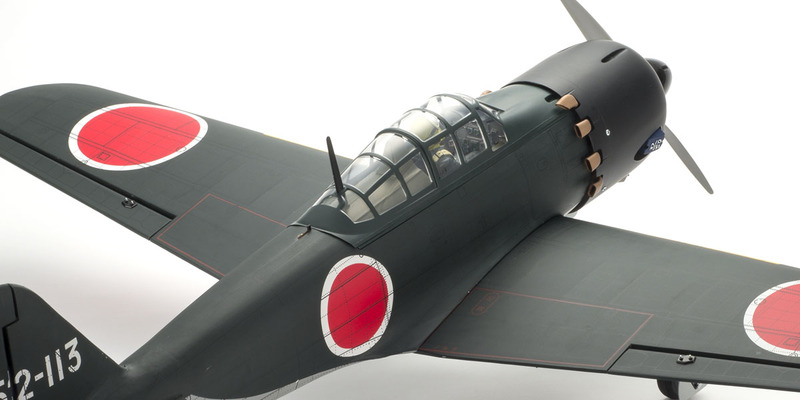 Playing its crucial role as the Japanese Navy’s main fighter, the Zero Fighter Model 52 joined the battle in the pacific theatre with its improved airspeed and reinforcements to counter the high speed of the American fighters from the middle of WWII through to the end. 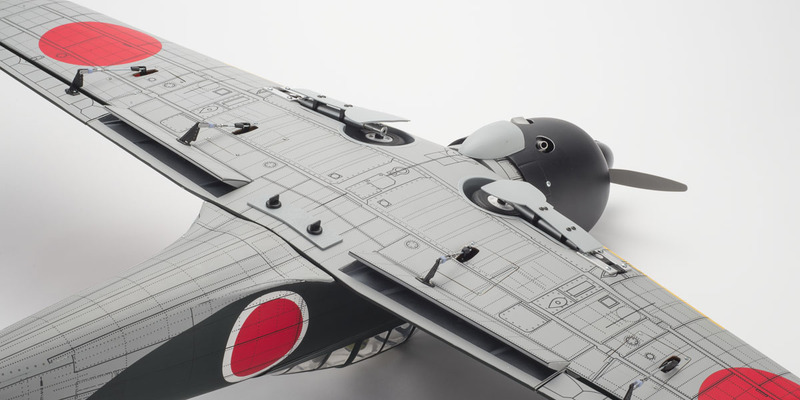 Now this famous fighter takes its place in the SQS Warbird Series lineup. 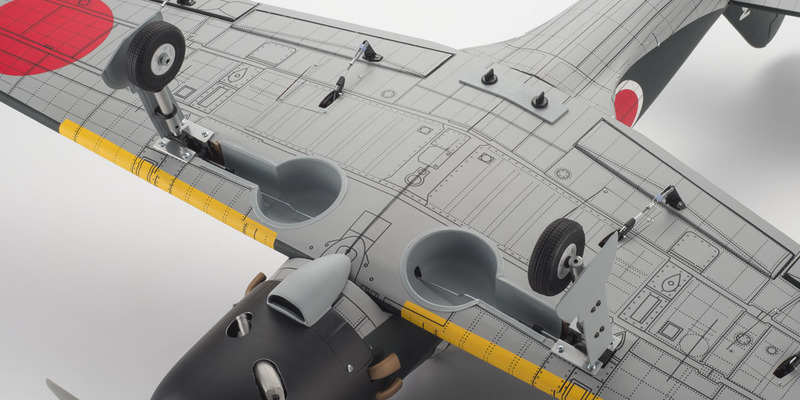 A complex manufacturing process produces the lightweight and high-rigidity construction of the balsa ribbed main & tail wings and fuselage that realizes both superior flying performance and exceptional scale appearance. The printed Toughlon covering is highly durable, wrinkle and sag resistant, and recreates the Zero’s defining dark green and gray color finish in the highest quality. Split flaps and retracts with oleo legs not only deliver effective speed control and lift during takeoff and landing, but also recreate the movement of the original airplane. 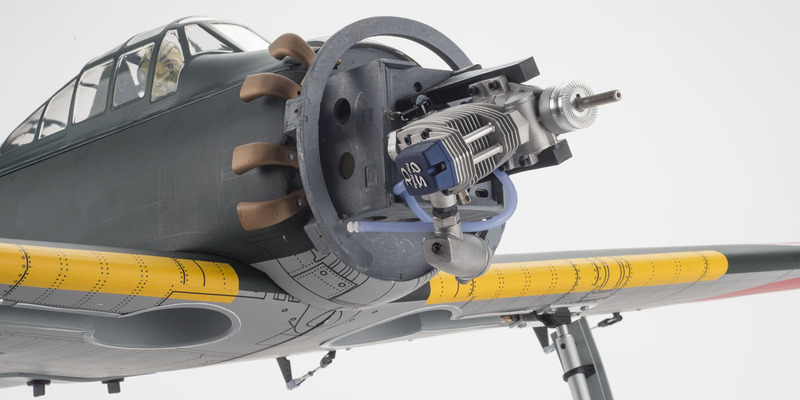 This semi-assembled ARF model is able to be completed by anyone and is easy to fly with a quality finish that will excite the most avid collectors of scale model aircraft. As a beautifully finished, fully equipped scale model airplane, the Zero Model 52 is ideal for advanced and intermediate level flyers wanting to launch into realistic scale flight. ●ARF kit features light weight, high-rigidity balsa rib fuselage, main and tail wings. ●Experience realistic scale airplane flight a handy-size 50 class engine. ●Includes retractable undercarriage incorporating suspension with coil spring. ●Equipped with split flaps that provide effective control during landing and takeoff. ●Sag-resistant color printed Toughlon produces exquisite finish. 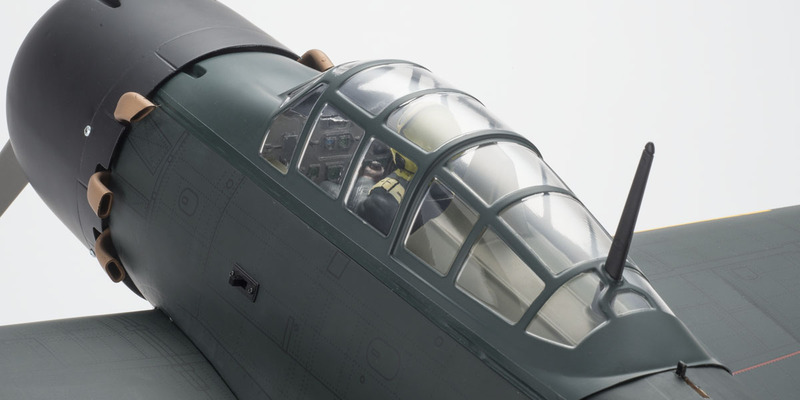 ●Features pilot figure and stereoscopic instrument panel. ●Includes fuel tank, silicone tube, scale spinner and linkage parts set. 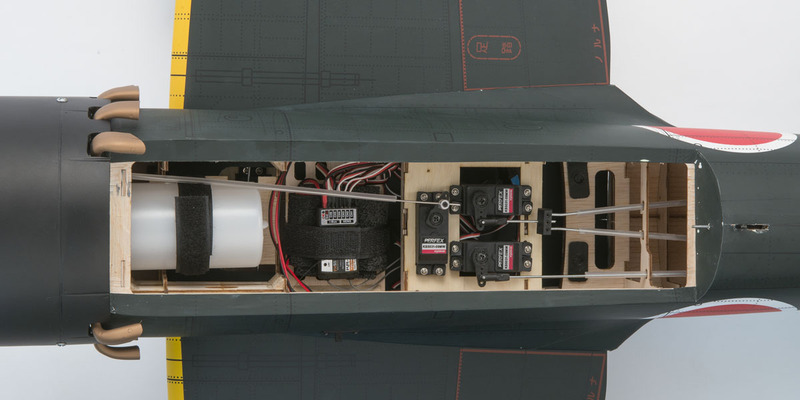 Engine is mounted sideways with the muffler under the fuselage. Model 52’s signature thrust-type single exhaust layout around the nose section is also replicated. 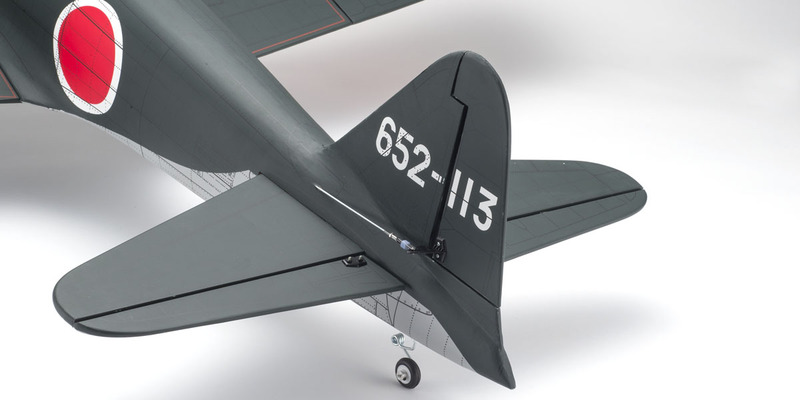 Fuselage is covered in wrinkle and sag-resistant Toughlon film, printed dark green on top and gray on bottom for a high-quality, realistic finish. Suspension system incorporating retracts with oleo legs as standard, effectively absorbs bumps from uneven surfaces. Dedicated servos for each retract replicates the landing gear storage style of the original airplane. Fuselage, main and tail wings utilize a light weight and high-rigidity balsa rib structure. Cockpit hatch can be easily opened and closed. Includes fuel tank, silicone tube and linkage parts. Split flaps deliver reliable lift and speed control in takeoff and landing. Similar function and form recreates true scale realism. Equipped with rudder-connected tail wheel with small turning circle provides maneuverable taxiing on the ground. Stereoscopic instrument panel and seated pilot figure recreate the atmosphere of a real Zero fighter!